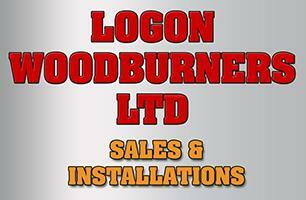 Logon-Woodburners Ltd - Fireplaces/Stoves, Roofer based in Lytchett Matravers, Dorset. are based in Lychett Matravers in Dorset. We supply and install wood and multi fuel stoves and provide a full service package. This includes an assessment of your current fireplace, room size, output required and advice on the best options available. As stockists of Burley & Hunter Stoves, whatever your taste, contemporary or traditional our wood burning stoves allow you to heat your home using a genuinely renewable and natural fuel in the most efficient way possible to provide maximum heat with minimum emissions. Please contact us or call in to our showroom, we look forward to helping you fulfill your lifestyle choice. Logon Woodburners are HETAS registered for your peace of mind. We also specialise in Woodburning Stoves for thatched cottages.